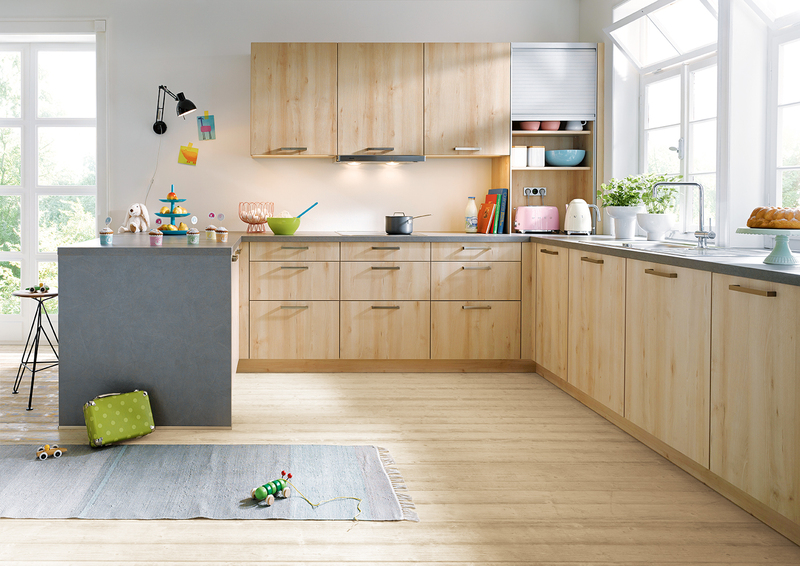 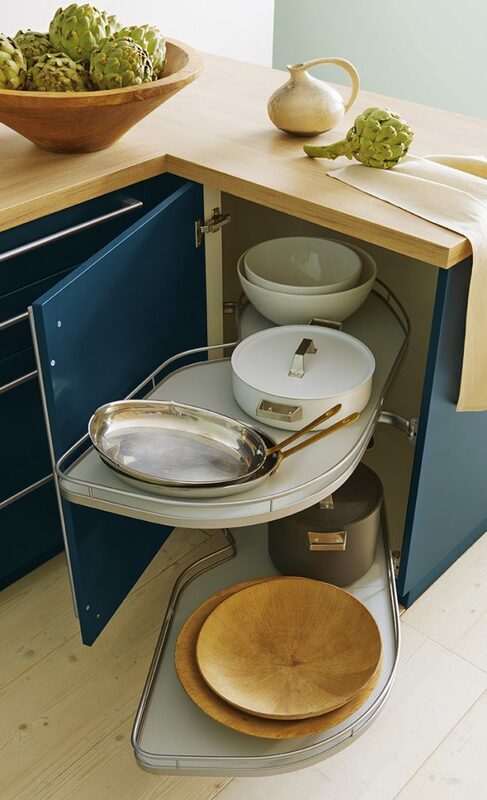 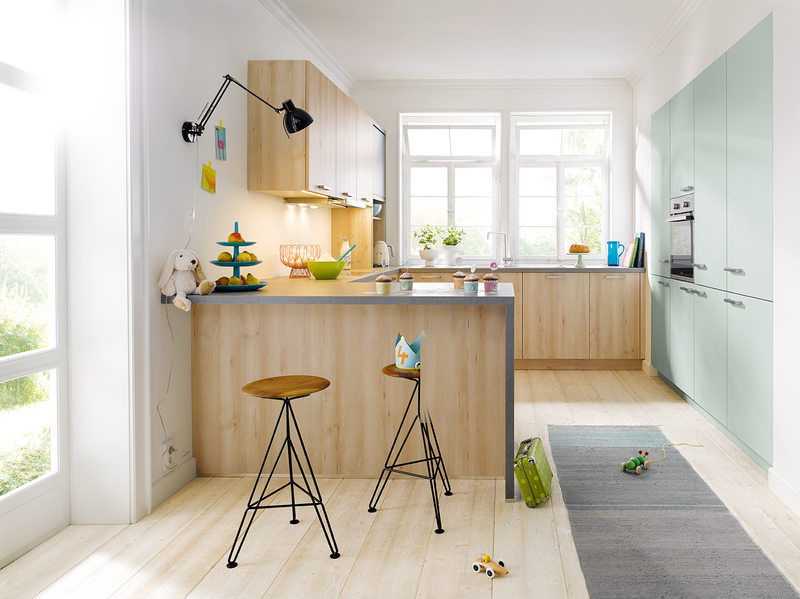 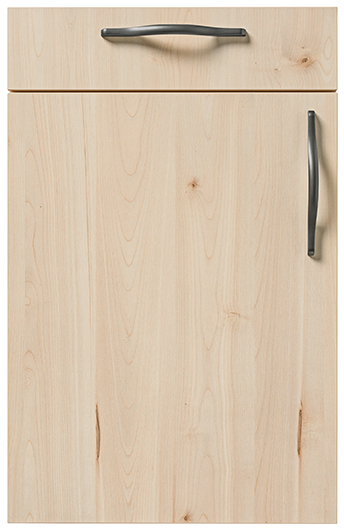 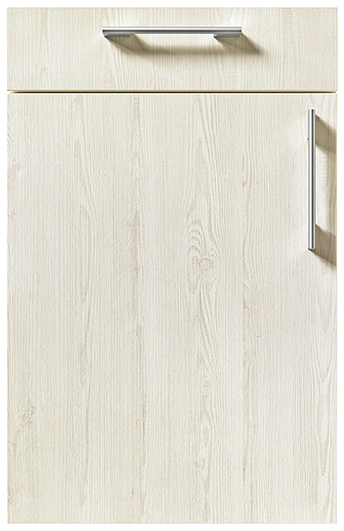 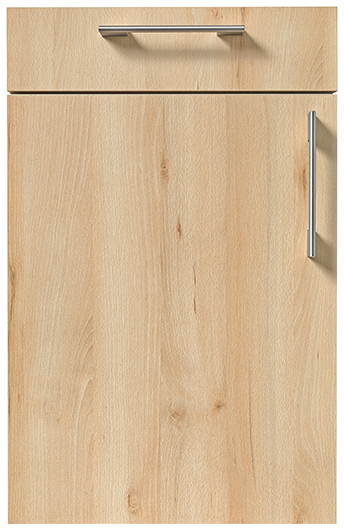 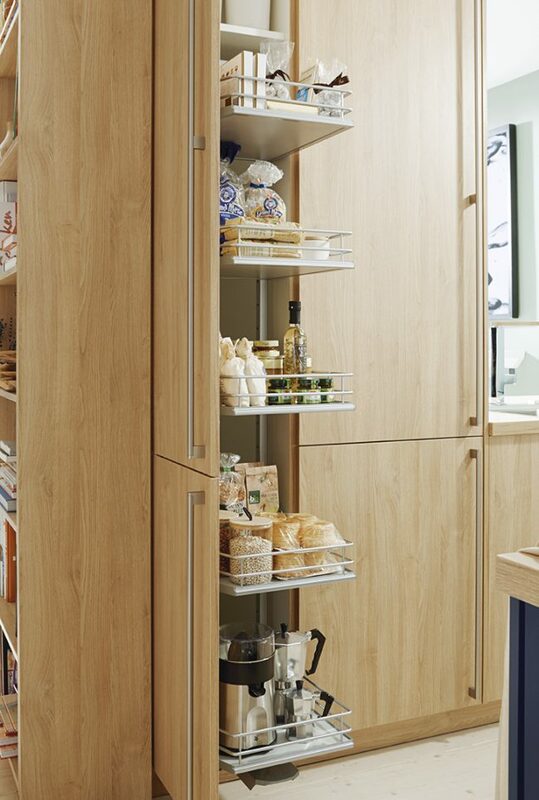 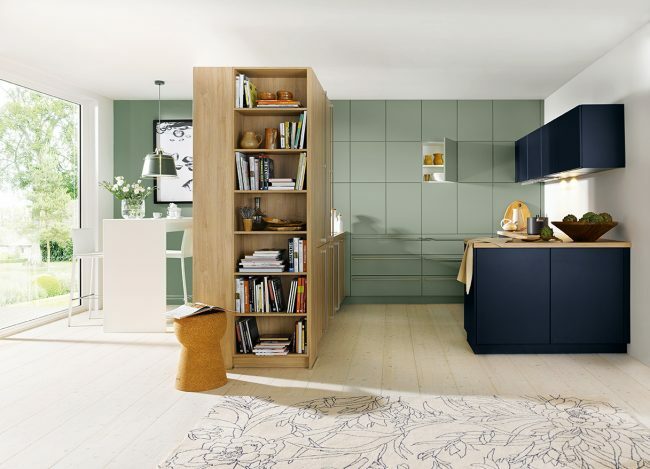 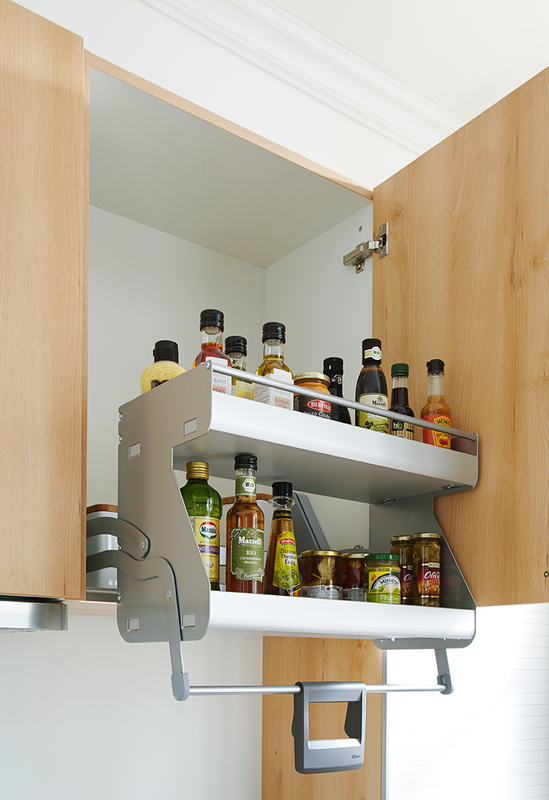 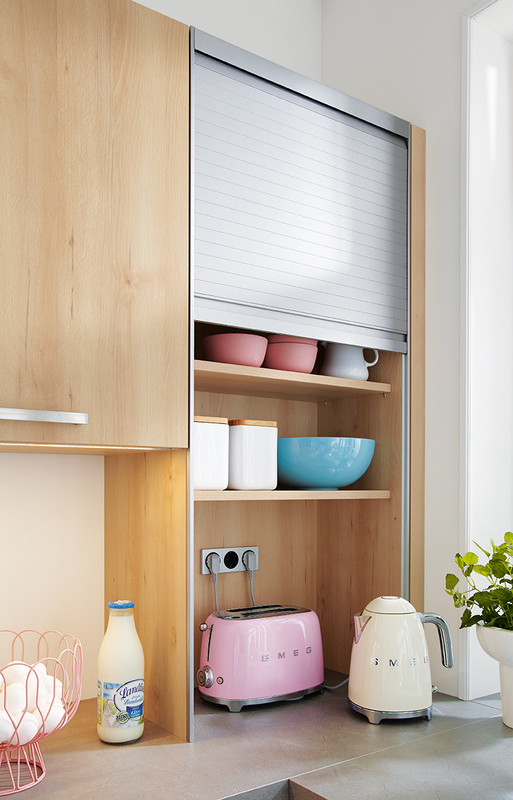 Schüller Bari Kitchen – Bari is a laminated door with a natural Knotty wood effect. 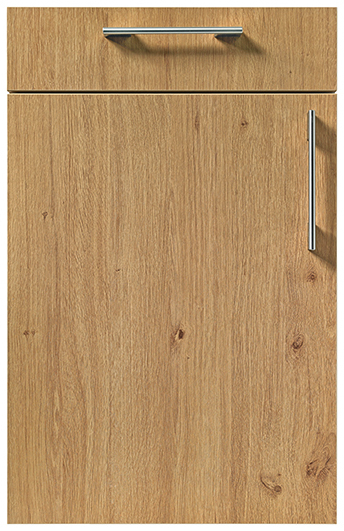 The distinctive front with the saw-cut feel has a surface that looks unbelievably like real wood. 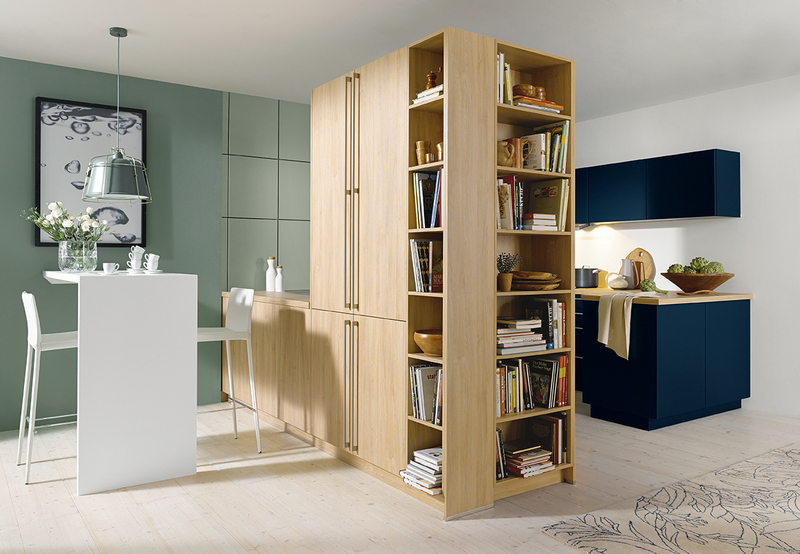 The Bari range looks great combined with the satin lacquered Biella and with 23 colours to choose from, you’ll have plenty of choice.